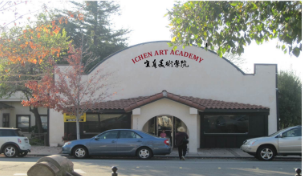 Founded by renowned artist Ichen Wu, Ichen Art Academy is the first all-around, comprehensive and systematic art institute dedicated to Chinese-Western art education in the Bay Area. All the instructors at Ichen Art Academy have advanced art degree and strong teaching experience. Ms. Wu has been doing Chinese and western style painting for over 30 years. In 1997, she founded Ichen Art Studio and since then she has been teaching Chinese painting and calligraphy. Her students have won many major awards in state-wide, national and international art competitions. Ichen Art Studio also helped many of its students getting accepted by prestigious colleges and universities by assisting them with AP Art Portfolio and supplemental art works for college applications. It is during her 15 years of art teaching practice that Ms. Wu came to realize that having a comprehensive and systematic program that focuses on both creativity development and techniques is essential to children’s art education. At the early stage of children’s art learning process, although focusing only on mimicking and copying the original art works may improve students techniques in some area, it will set restrictions for students and hinder their creativity and imagination development in the long run; on the other hand, stressing on free-style cultivation of creativity without teaching proper techniques will result in students’ producing graffiti-like art works, due to lack of composition concepts and line qualities. Students may feel discouraged by the lack of progress and some may eventually lose interests in painting and drawing. Ichen Art Academy takes a different approach that combines the learning of techniques with the cultivation of creativity. It emphasizes composition and live sketch, which helps enhance students’ abilities for observation and imagination, craft their tastes for aesthetics and fine arts, and make them become creative artists with independent ideas and solid skill sets. Its art courses, which cover both Chinese and western style painting and drawing, are specially designed based on students’ ages and interests. Together they provide a wide variety of choices for students. In addition, by conducting regular art exhibitions and encouraging students to participate in various art competitions, Ichen Art Academy creates an environment in which students can share their art works and learn from each other. These are what set Ichen Art Academy apart from rest of the children’s art education institutes and providers. Ichen Art Academy accepts children age 4 and up, adolescents and adults. Its art programs include Chinese Painting and Calligraphy, Children’s Creative Art, Sketch, Watercolor, Oil Painting, Digital Drawing, Cartoon and Character Design, Pre-AP Art and AP Art Portfolio. Whether your objective is to cultivate interest in art, to learn the techniques of painting or drawing, or to apply an art-related major for college, you will find that Ichen Art Academy is the best school to help you achieve your goal.